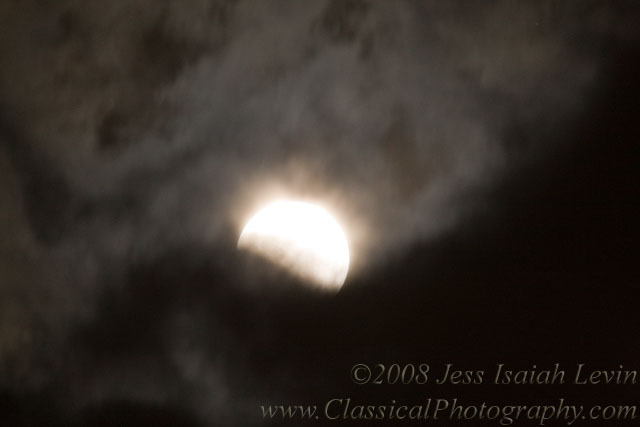 The lunar eclipse that we experienced February 20, 2008 (totality extended approximately 10:01 pm until 10:51 pm Eastern Standard Time) was a bit of a "chase" in the USA, due to cloudy conditions prevailing over much of the country. 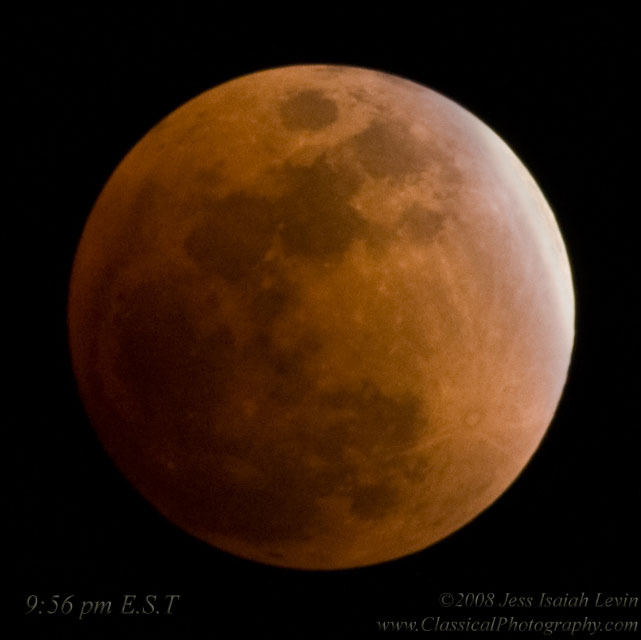 In my location in Raleigh, NC, the sky was partially clear in the early evening, so I had hopes that I would be lucky this time around. 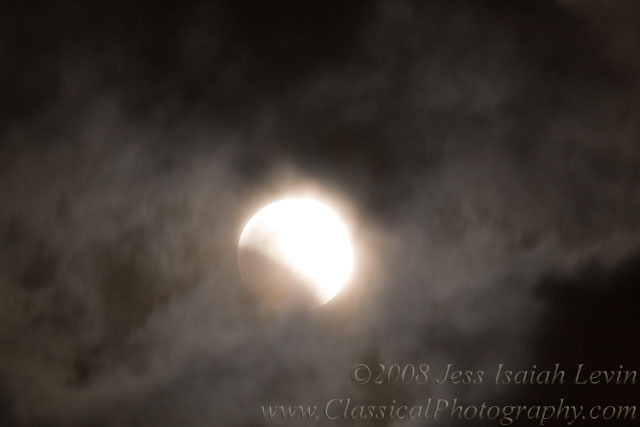 As it happened, thick layers of clouds blew overhead just a few minutes before the partial eclipse began (about 8:43 pm). I decided to persist, and began by grabbing what I could whenever the moon peeked through a hole in the cover. Here are a few examples of what I was fighting with. Things were happening in fractions of a second. It was a little like shooting sports! 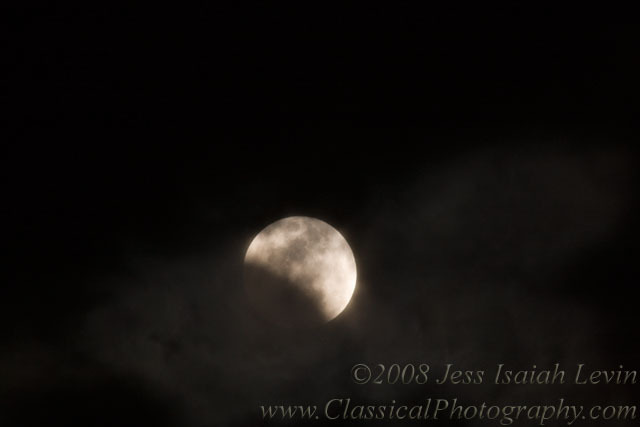 In spite of the clouds, that is the earth's shadow beginning to be evident at the lower left of the moon. It's becoming a little more apparent. Ah, patches of clear sky are appearing, so a proper exposure can show detail on the moon and in the clouds. 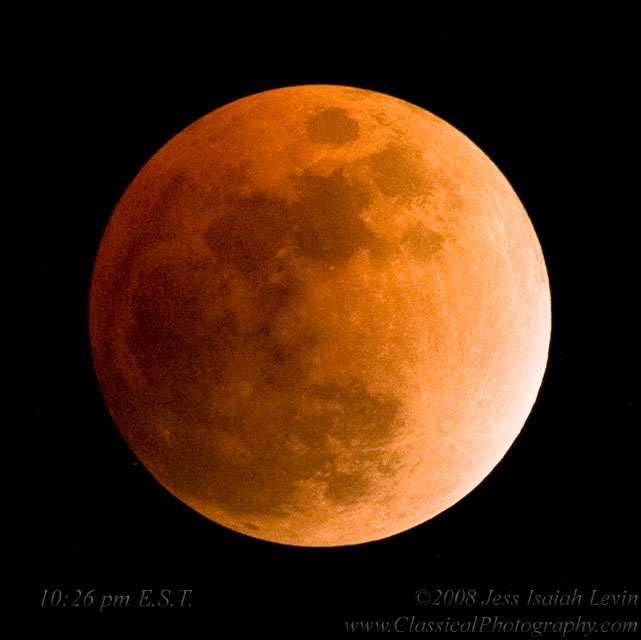 Now we've got sections of clear sky to deal with, and they periodically leave the moon exposed to view. 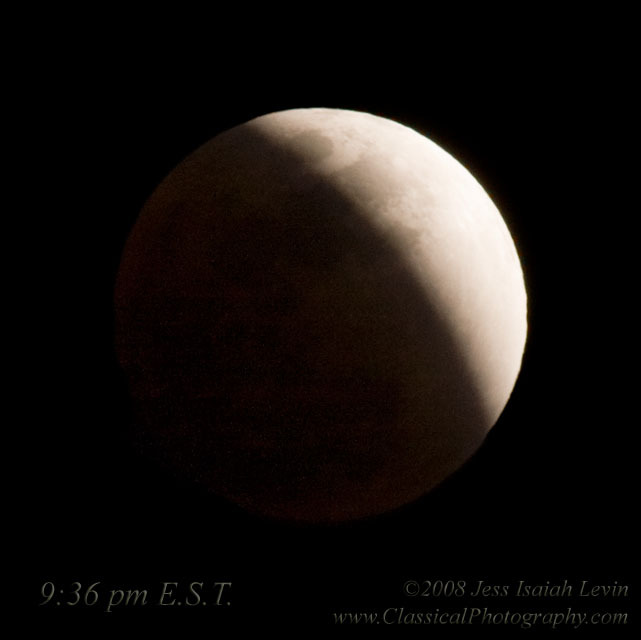 Here's a shot about halfway through the partial eclipse phase. Here I managed to get some detail in both the lit and shadowed sides of the moon. About 15 minutes before the beginning of totality. The waiting was worth it! About five minutes into the total eclipse, the sky was clear and the color was remarkable! In the middle of totality, the color was intense. Quite a show! I continued photographing and enjoying the view past the end of totality, but as the sunlight was nipping at the edge of the moon, the clouds began rolling in with a vengeance, and the rest of the celestial phenomenon was completely obliterated by local weather. That was okay with me, as I was tired. I'm certainly glad that I prepared for the experience, and had enough optimism to keep at it when things didn't look very promising. 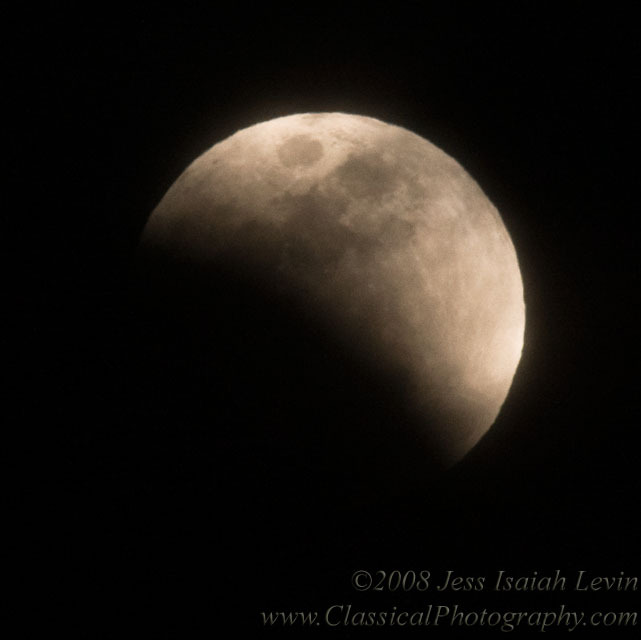 If you didn't get to see the eclipse for yourself under good conditions, I hope you enjoy some of these photos.